There's still time to participate in Color Challenge 44! Remember, you don't have to have the EXACT colors to play. Just use colors inspired by the ones you see below. 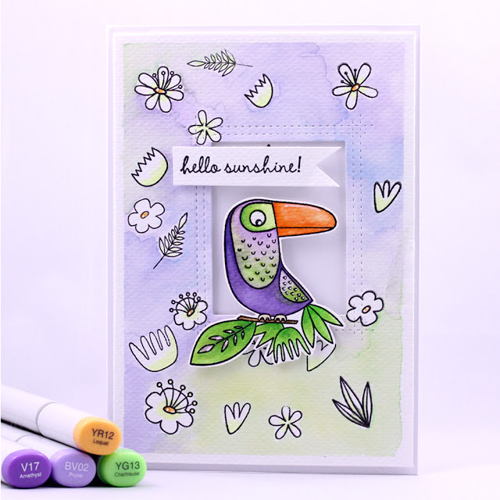 From Arte Banale comes this festive design featuring our Birds of Paradise stamp set and Die-namics and Blissful Blooms stamp set. I love how the bird looks dressed in the colors of MFT Color Challenge 44! 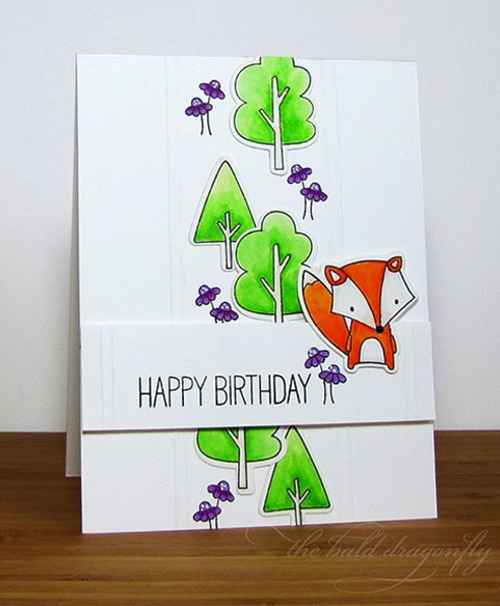 And check out this fun card by Karen Baker. She uses the Forest Friends stamp set and Die-namics as well as the little flowers from the Adorable Elephants stamp set. What a great way to utilize little bits from two sets! Thabks for the shout-out! I enjoyed these colors...outside my normal go-to's. Wow! I'm honored to see here my card:) Thank you so much!